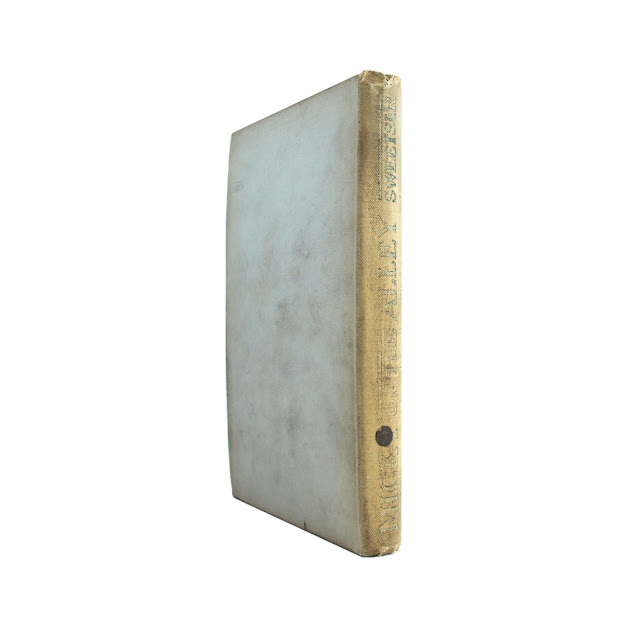 This antique hardcover book is bound in white cloth boards with dark green spine lettering. 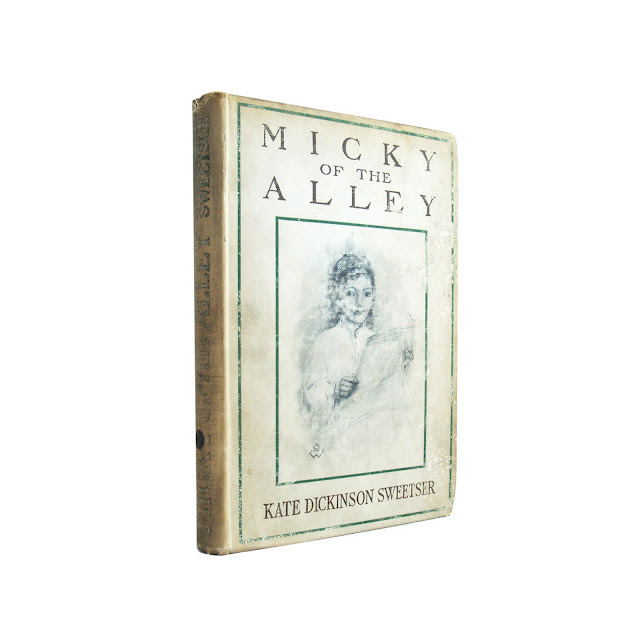 Black-and-white cover illustration. 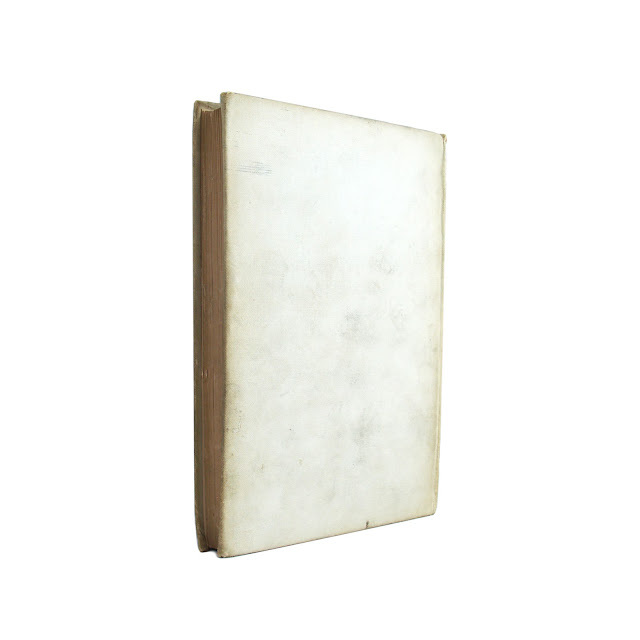 Cover shows wear and heavy soil; binding is tight, inner pages fairly clean. Black mark on spine. Scarce title. Four black-and-white plates, including frontispiece. 176 pages; approx. 5"x8". 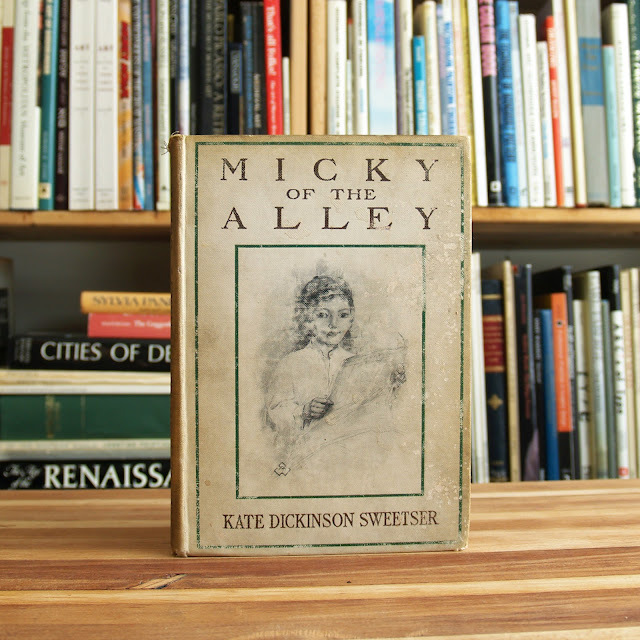 Kate Dickinson Sweetser (1870-1939) was an American author known in her time for writing juvenile fiction and compilations. Her great-grandfather, Samuel Dickinson, was one of the founders of Amherst College in Massachusetts; she was also the cousin of poet Emily Dickinson.